The Feeder Stripe T-Shirt is a modern take on our timeless English Stripe T-Shirt. Designed to skim the body and with a functional patch pocket, this long sleeve T-Shirt will make a welcome addition to your warm-weather wardrobe. 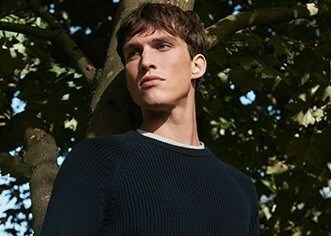 When the temperature dips, the understated design will pair well under an overshirt or fine merino knit. We think that the perfect fit is nothing without the perfect fabric, which is why we have spent the last 150 years sourcing the finest raw materials from around the world. For this T-Shirt we have used our signature 100% long-staple cotton to develop a luxurious jersey that is not only exceptionally soft but also lightweight and incredibly comfortable to wear.